Representatives from Teamsters Local 700 met with the Chicago Public Schools (CPS) labor attorney on Tuesday, March 22 to lobby for Local 700 CPS members to continue working during the three furlough days imposed on all CPS employees in order for the district to save money. Local 700 is looking into legal options on behalf of the Teamsters working at CPS. Teamsters Local 700 represents nearly 30 members at CPS, mostly truck drivers and one foreman. CPS is forcing its employees to take three days unpaid vacation in an effort to save $30 million for the district. The first furlough day is set for Friday, March 25, Good Friday, while the other two are in the summer – June 22 and 23. The Chicago Teachers Union said the unpaid vacation days will result in a 1.6 percent salary reduction for its members and have approved a district-wide strike for Friday, April 1. 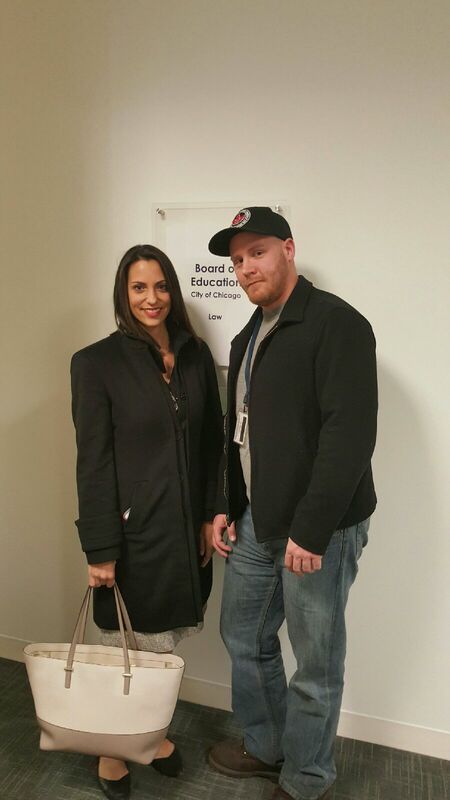 Local 700 Business Agent Harold Irving, Staff Attorney Teresa Abreu and CPS union steward Sean Stifter were present during the March 22 meeting. More information will be posted when further discussions take place.